Well, just as Owen gets online at home, I go off, again. We've lost our online connection because of a protracted series of miscommunications with a company that shall not remain nameless - Sky - with began with our making the grave mistake of informing them long in advance that we planned to move. When two weeks before the move we found our broadband connection prematurely severed, we entered into a warren of call centre rhizomania from which we have still not fully emerged. It would be superfluous and tedious to recount in any detail the hours of increasingly fractious phone calls, the contradictory information, the apologetic letters quickly followed by a repeat of the very thing for which the apology was issued, because I guarantee there's not a single reader out there who hasn't experienced something analogous with one company or another. No doubt Charlie Brooker was being flippant when he remarked that a recent Cutting Edge documentary on call centres 'somehow manages to sum up everything that's wrong with our world'. But what, indeed, exemplifies the failure of the neoliberal world to live up to its own PR better than the call centre? 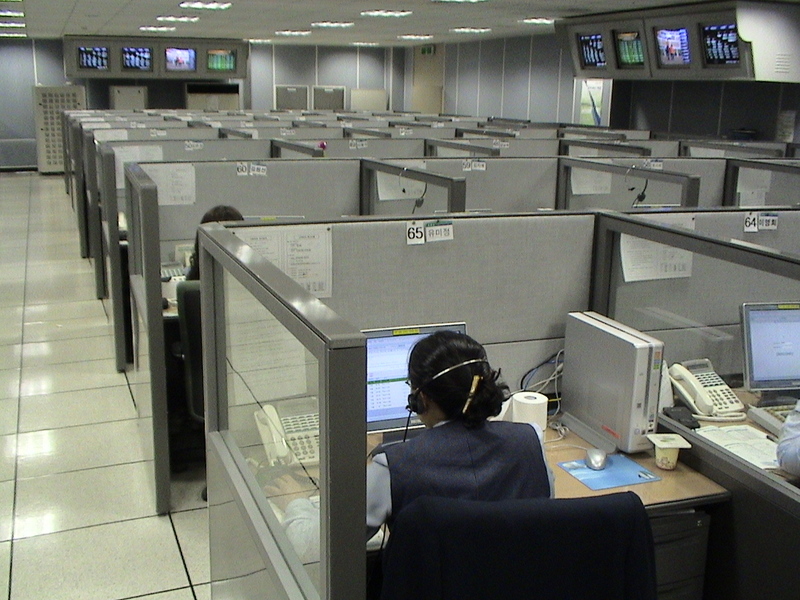 Even so, the universality of bad experiences with call centres does nothing to unsettle the operating assumption that capitalism is inherently efficient, as if the problems with call centres weren't the systemic consequences of a logic of Capital which means organisations are so fixated on making profits that they can't actually sell you anything. As if structural incompetence and bureaucratic bungling were aberrations in the smoothly running digital nervous system of Bill Gates's fantasy. The call centre experience distills the political phenomenology of late capitalism: the boredom and frustration punctuated by cheerily piped PR, the repeating of the same dreary details many times to different poorly trained and badly informed operatives, the building rage that must remain impotent because it can have no legitimate object, since – as is very quickly clear to the caller – there is no-one who knows, and no-one who could do anything even if they could. Anger can only be a matter of venting; it is aggression in a vacuum, directed at someone who is a fellow victim of the system but with whom there is no possibility of communality. Just as the anger has no proper object, it will have no effect. In this experience of a system that is unresponsive, impersonal, centreless, abstract and fragmentary, you are as close as you can be to confronting the artificial stupidity of Capital in itself. Call centre angst is one more illustration of the way that Kafka is poorly understood as a writer of totalitarianism; a decentralized, market Stalinist bureaucracy is far more Kafkaesque than one in which there is a central authority.